A training provider in Somerset that found itself at the sharp end of the adult education budget debacle has unsurprisingly won a special procurement worth £2.6 million to deliver “community learning services”. 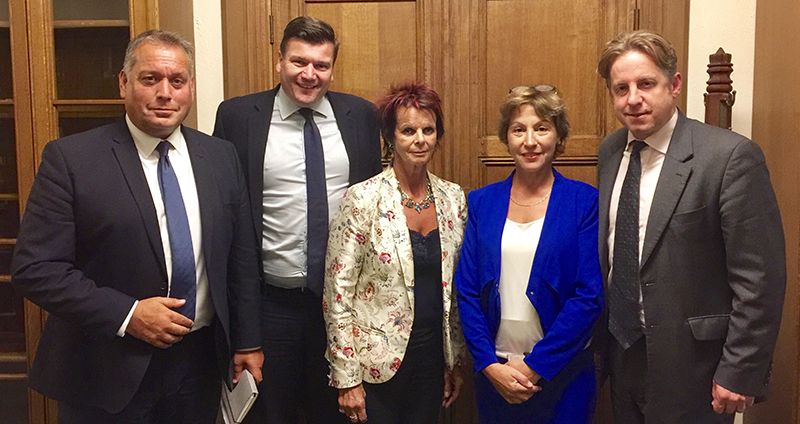 The Education and Skills Funding Agency launched a tender specifically for the area in May following a campaign by Somerset Skills and Learning, which rallied local MPs for more funding after it faced losing 97 per cent of its AEB. A government update published today said the winning organisation of the procurement has now been confirmed, and SS&L told FE Week it was the provider to come out on top. However, the ESFA has since revealed that SS&L was the only bidder in the tender, despite it being a “transparent and fair process”. “We are absolutely delighted to have been successful in the recent tender for community learning provision in Somerset,” said chief executive Susie Simon-Norris. “This funding was cut completely in August 2017 and we have worked tirelessly to get this money back to Somerset where it belongs, and back to SS&L. “We are very proud of the work that we do with a range of partners in Somerset, supporting those most in need, and we are now looking forward to working with these partners in 2018-19. But today’s news won’t sit well with everyone in the sector. Demands for fairness and reform to the procurement process were made in May, prompted by the apparent special treatment for Somerset. Mark Dawe, boss of the Association of Employment and Learning Providers, added that “whatever has been done for Somerset should be available to all AEB providers”. “We need to see fairness and transparency,” he demanded. Community learning consists of courses that are typically “unaccredited and can be undertaken for their own sake or as a step towards other learning/training”, usually funded through the AEB. It’s believed to be the first time that the ESFA has run a procurement process specifically for this type of provision. It was on offer only to a provider with a turnover of at least £2 million per year for the past three years “in order to ensure the provider is able to deliver the required volume of services”. This limited the number of providers eligible to bid for the contract, and it has now come to light that SS&L was the only provider to take part in the procurement. “The ESFA conducted a transparent and fair process and the Invitation to Tender document was open to all providers who were able to demonstrate they could meet the specific service requirements in Somerset,” a Department for Education spokesperson said. SS&L has battled for more cash since last year’s AEB tender fiasco, which saw independent training providers bid for a share of just £110 million for adult education. Its initial allocation of £111,000 represented just three per cent of the £3.4 million it received in 2016-17. Following a campaign to lobby MPs and ministers, the ESFA made a partial U-turn on funding for providers that saw SS&L receive 75 per cent of its previous allocation on a “transitional basis”. Nonetheless, it was still forced to close centres and make redundancies. FE Week reported in January that representatives from the provider were set to meet with ESFA officials to argue the case for more cash, claiming that Somerset was the only county in England not to get a major grant in the tender process. Originally funded through Somerset county council, in 2015 SS&L was encouraged by the government to transition to a private provider. Had it stayed part of the council, it would not have been forced to take part in this bidding round, as local authorities are outside the public procurement regulations.